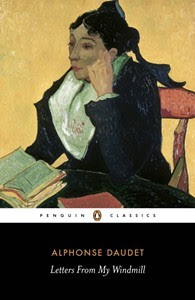 Letters from My Windmill (French: Lettres de mon moulin) is a collection of short stories by Alphonse Daudet first published in its entirety in 1869. Some of the stories had been published earlier in newspapers or journals such as Le Figaro and L'Evénement as early as 1865. The stories are all told by the author in the first person, typically addressing a Parisian reader. The author, having relocated his home from Paris, recounts short bucolic tales about his new life in Provence as well as his trips to Corsica and French Algeria. Considered to be light-hearted, and often a bit tongue-in-cheek, the stories vary from day-to-day events in southern France to Provençal folk-tales, and often feature professions and faunal references characteristic of Provence. 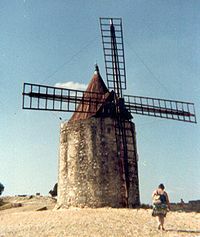 Letters From My Windmill is sometimes considered to be Daudet's most important work. It is cherished by many French, particularly in the South, for the picture it paints of the local culture.